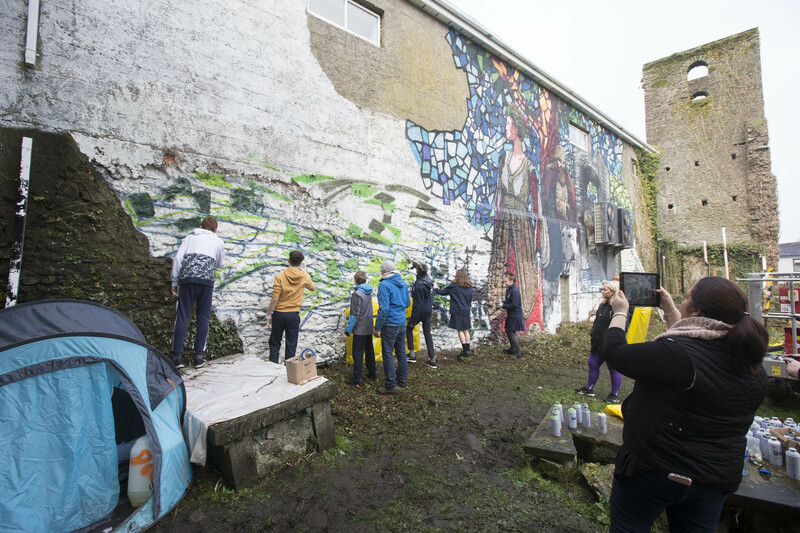 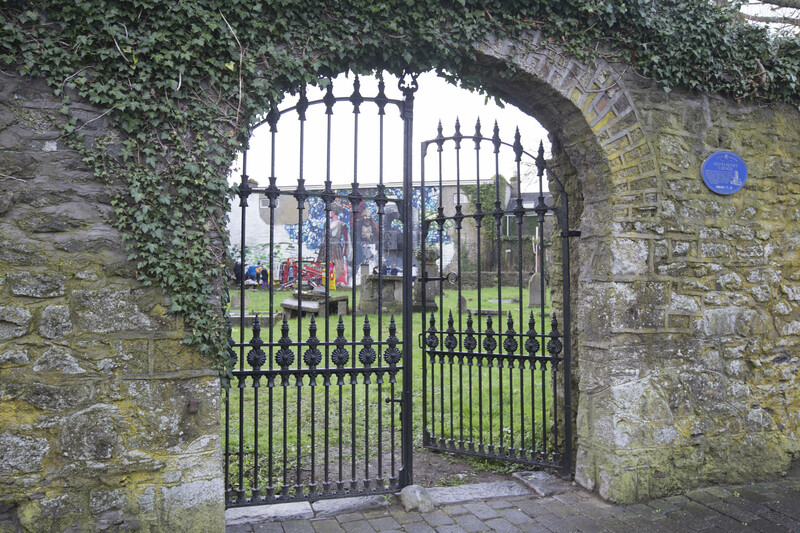 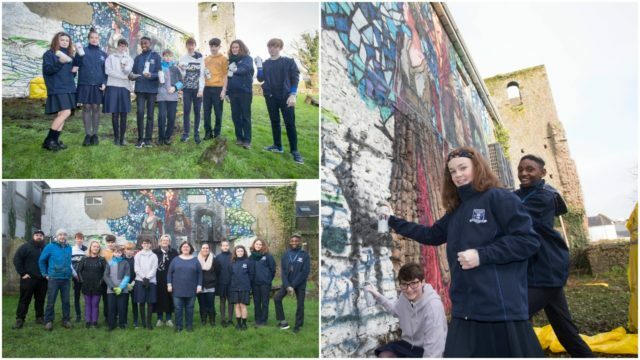 Today a maginificent mural was unveiled at the Old St Peter’s Graveyard, Railway Street, Portlaoise. 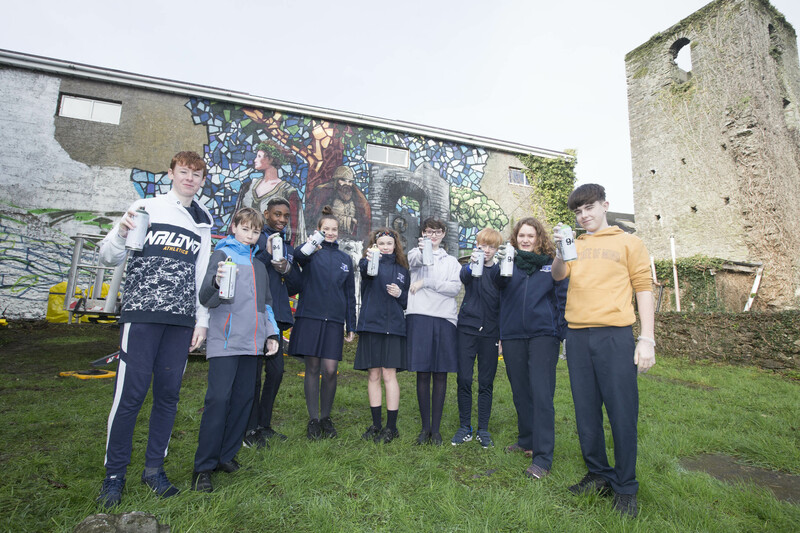 The Walls project endeavours to inspire interest in the heritage and archaeology of the town and county for the next generation. 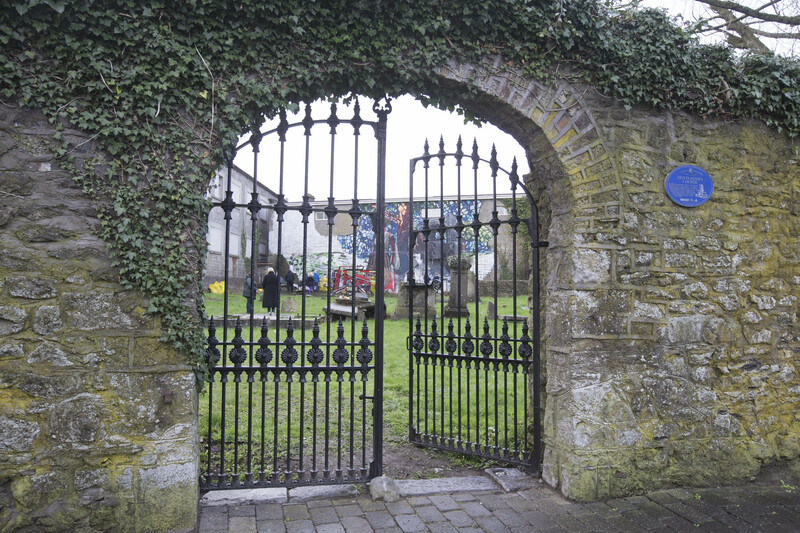 It is part of the greater Fort Protector project and rejuvenation of the central of the town. 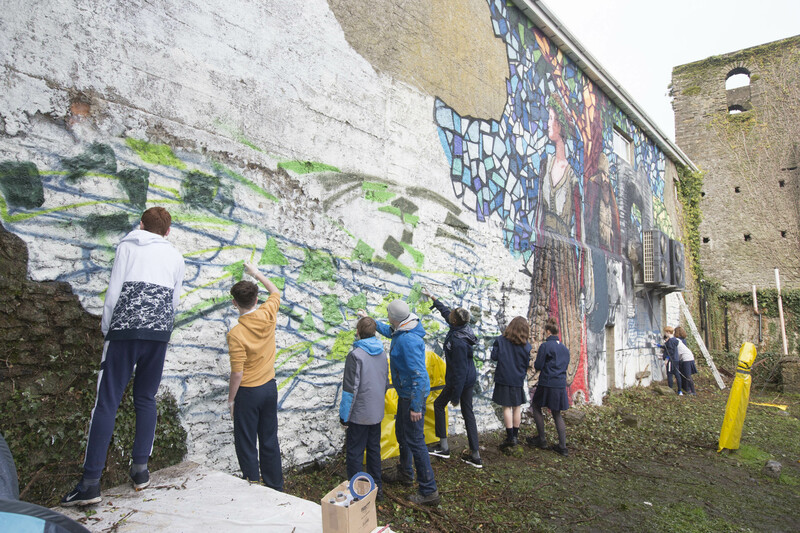 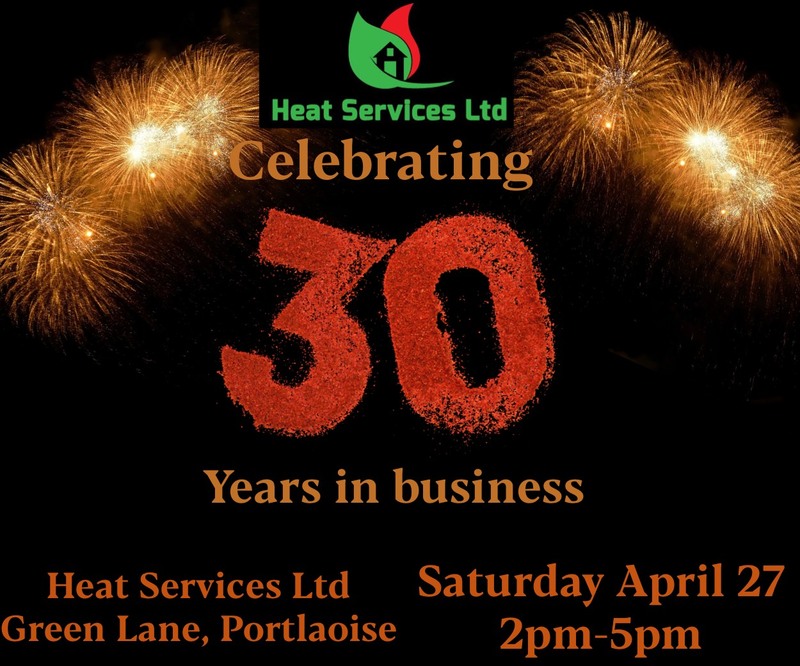 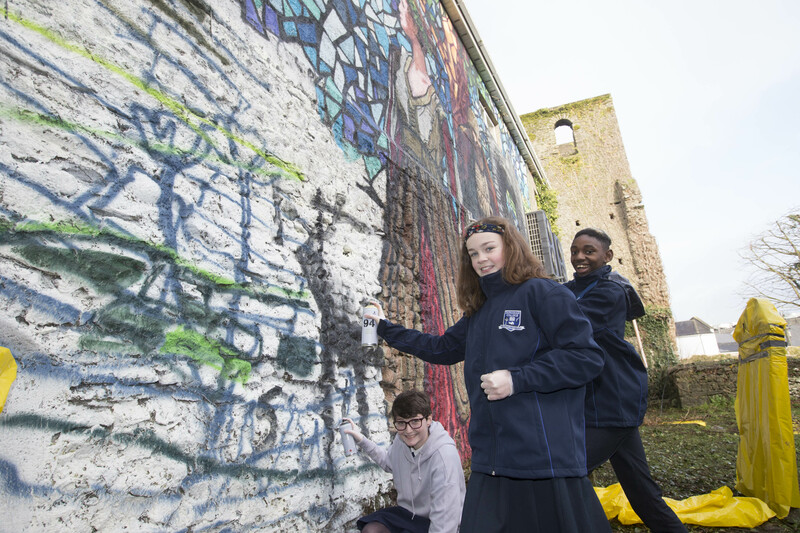 A shortlist was made from a selection of leading mural artists and the successful artist appointed was Shane Sutton. 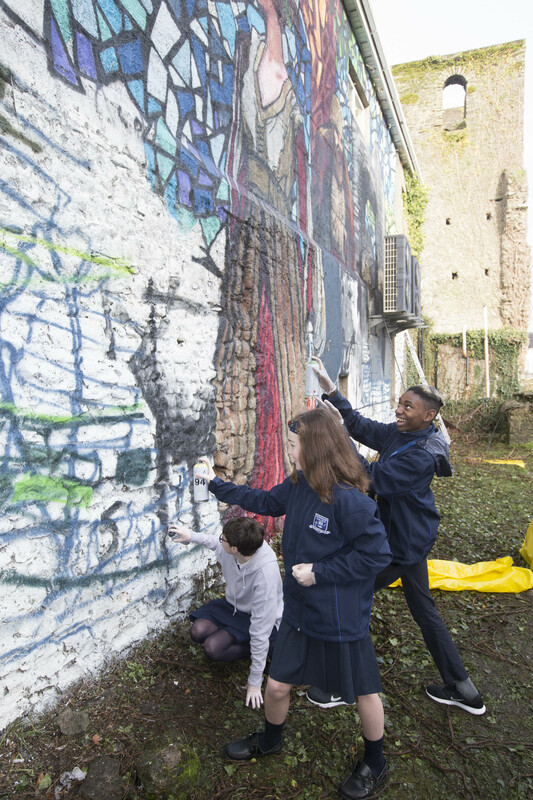 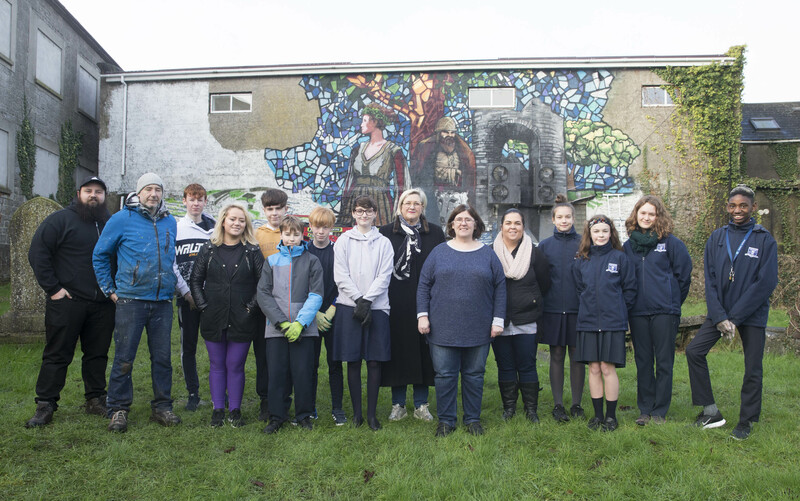 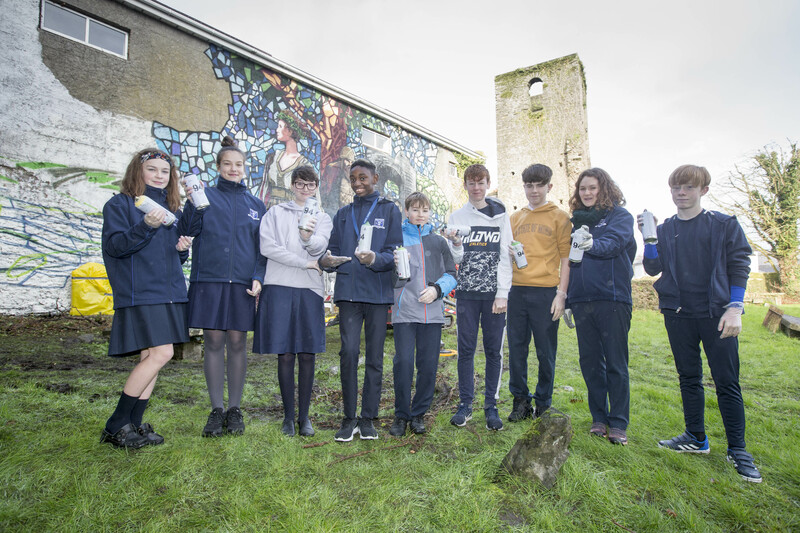 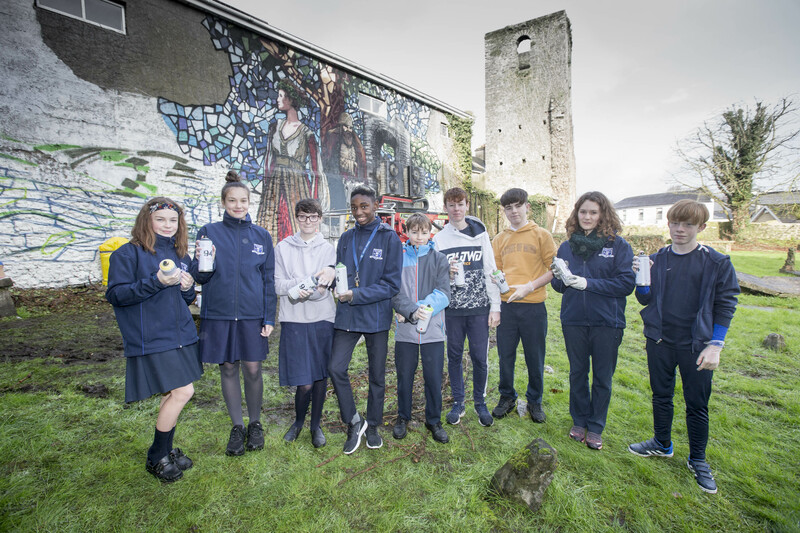 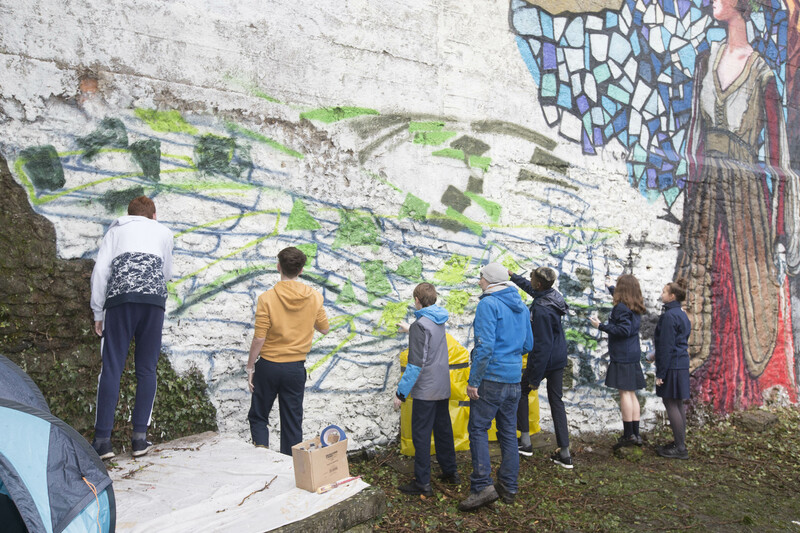 .Shane Sutton, artist and Gabe McGuinness, site manager from The Walls Project; Catherine Casey, Laois Heritage Officer; Muireann Ni Chonaill, Laois Arts Officer; Dunamase College Staff Mairead Carroll and Vicky Cain with 1st and 2nd year art students installing a mural at the Old St Peter’s Graveyard, Railway Street, Portlaoise.